I actually prefer Hero system to D20, But D20 has a really cool critter list. Trouble is, I have never found a good general system for converting D20 monsters into Hero system. This is actually pretty awkward; there are a few characters on the site who have both d20 Eclipse and Hero versions (for example, Yuki d20 and Yuki Hero), and there’s an examination of Eclipse in relationship to the Hero System over HERE – but converting d20 to Hero is fundamentally awkward. While most of the abilities translate easily enough as ideas, the games represent things in different ways; a creature with a very high d20 armor class MIGHT be best translated by giving it a very high DCV – but the way that Hero System combat works means that it might be better represented by Armor (absorbing damage rather than preventing hits). That’s why converting the stat block is not enough; you have to look at the description and convert things into something appropriate. Far more importantly, d20 – at it’s most basic – expects characters to start out as just a bit above “average guy” and to – eventually – defeat cosmic horrors who were old when the universe was young. Thus, when going from Hero (or any other source) to d20 practically any kind of conversion will do; if you have a Hero System writeup for a “Predator” alien, or a “Ravenous Bugblatter Beast”, or whatever, it doesn’t matter if you translate 50 Str into 50 Str or a more reasonable 25, or translate a 10d6 Energy Blast into 10d6 or 3d6+1 damage. At some point in the characters careers your creation will probably be a usable opponent no matter what abilities and statistics you give it. When you’re going the other way there’s a major problem. The Hero System isn’t really a single game even if you stick to one edition. It’s a substructure for erecting your own game and is – oddly enough – in many ways a LOT more genre-oriented. Building a character for Fantasy Hero (no multipowers or elemental controls, extremely limited special powers, characters may use equipment without paying for it) is not at all like building a Dark Champions character (all defenses require flaws, characters must remain vulnerable to street weapons, strict limits on many powers, mostly gadgets only), which – in turn – is nothing like building a Galactic Guardian. 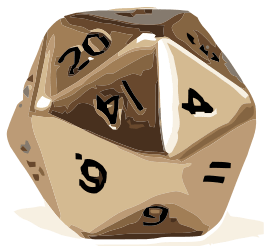 d20 does have something of that same quality of course – but it mostly depends on what sourcebooks you’re allowing; the core SRD material is generally supposed to be usable in almost every game. The fact that the sourcebooks you opt to allow may completely transform the game is stressed a lot less than the “d20” part. A Fantasy Hero mage is never going to merge another dimension with his or transform a world. Neither will a pulp hero mystic. Captain Vengeance (a highly-experienced Dark Champions character) may be able to defeat twenty thugs, or four newbie villains – but he’s never going to face down an army, or go toe to toe with Superman or Doctor Strange. For an example, take Ilarion Drake or Xaliotl – young Hero Systems Celestial Dragons. Written as they are… They’d be nigh unstoppable juggernauts with godlike powers in Fantasy Hero. In Dark Champions they’d be major monstrosities that it would take a small army of heroes to stop. In Champions they’re fairly normal characters. In a Galactic Guardians setting they’d be child sidekicks or pets. That means that converting a creature from d20 to Hero System is going to vary depending on what kind of Hero System game you’re converting it to – and it certainly doesn’t help that d20 has an unrestricted powers list, while the Hero System has a far more limited (and fixed) list. Fundamentally, I suspect that the best that can be done here is to break things down into a few categories. Is the d20 creatures ability in a category – say “attack” – very low powered, low powered, about average, above average, or incredibly dangerous? Then look at the power structure for your Hero System game and make it so for your game. Sorry there. Did you have any particular version of the Hero System in mind? I might be able to be more help with that – but I fear that any general system is going to run into serious problems.